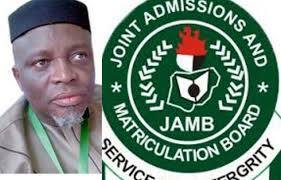 See jamb regularization issues : possible ways to resolve it for NYSC |confirm if regularization is successful step by step guide. In this article we shall give you a step by step guide on how to resolve any possible issues you are currently facing or having with jamb (regularization). I will like you to read this guide slowly from A-Z. First you have to note that you must posses a jamb registration number before you can be mobilize for any batch. Be it batch A, B or C.
Please note that most students or graduates most especially those who got their admission through evening/weekend programs run by institutions are likely to fall in this category. It has come to our notice that most institutions just hurriedly give out admission to candidates without going through the laid down procedures set down by JAMB. It is best all prospective Corp members, students and undergraduate strive their best to validate their jamb registration number, those who don’t have till date need to regularize their admission as fast as they can. The first step to take is to create a jamb profile. Proceed to process your jamb regularization. Your school will submit it to jamb after they must have stamp on it. Once your form get to jamb national office Abuja, it will be processed and your jamb registration number will be sent to you via mail. Now confirm your name on jamb Matriculation list. Please note that those who don’t have jamb registration number won’t participate in the forthcoming NYSC program until they resolve the problem as outlined here. They won’t be able to print their jamb admission letter. There are many reason that might make the whole process slow. First it might be that your school has not yet sent the form to jamb office. Or it might be that the post office or delivery channels have not yet delivered it. But if it eventually gets to JAMB it will take minimum of two weeks to process. Those who have sent their details to the university but are yet to confirm that their regularization is successful should exercise patients. Please will I be qualified to serve this year? Because jamb gave me admission in C. O. E. Minnna but I attended Futminna because I was offered admission there. Please what do I do?